Our 2527P bar stool with window back is made to order of European Beech wood. Available seat options include upholstery or wood saddle style. Your choice of fabric and wood stain. 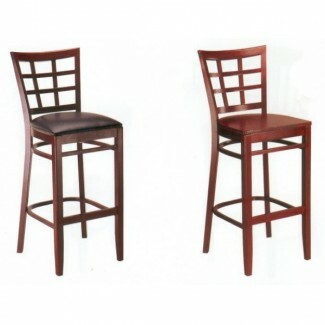 Our Beechwood Traditional Barstool Collection has a lead time of 2 - 4 weeks from the time your order is processed.